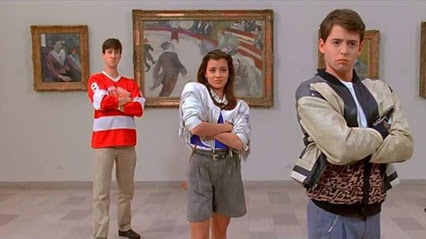 Just three days after the 30th anniversary of Ferris Bueller’s actual day off, I had my own day off from work. I may have tied it to National Cancer Survivors Day, but it was really just a matter of having way too many vacation days and having had a fairly stressful performance appraisal wherein it was suggested I use some of that time for myself.1 So while I had a fun brunch, cocktails, lazy time and then more cocktails on Sunday, I didn’t really know if I’d do the same on Monday or just enjoy the free time. I “slept in”–until 7:30. I’m not good at sleeping in, obviously, but I still didn’t actively do anything for about an hour. The weather was nice out, I went to breakfast, hit up the grocery store–I wasn’t about to pass up $5 lobster tails, did some gardening, cleaned out the fridge, did some laundry and in between it all just sat down and did nothing major. I barely even caught up on that much TV! My original thought was getting myself together to go out for a nice breakfast or a fancy lunch, but it never quite happened. I even tossed around the idea of going out for happy hour, but had dismissed it even before the thunderstorms rolled through and confirmed it as a bad idea. 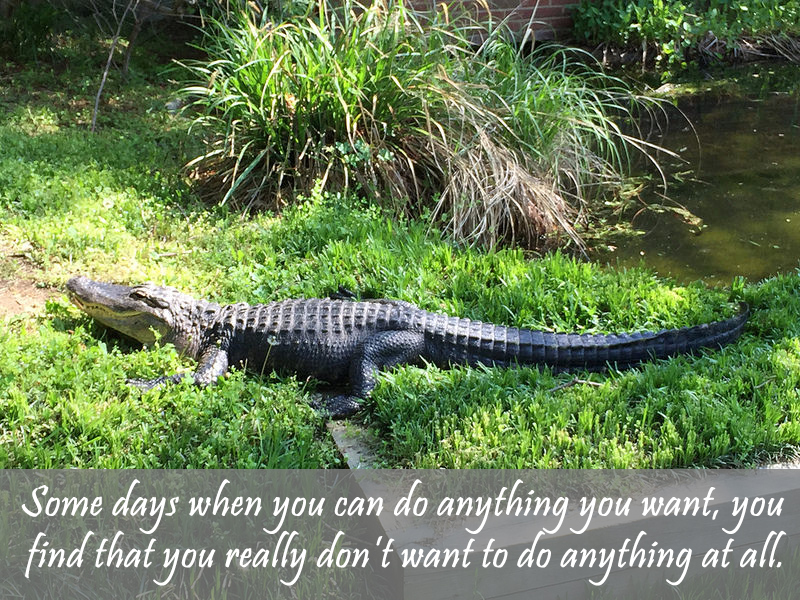 Some days when you can do anything you want, you find that you really don’t want to do anything at all. Mid-morning, in the midst of doing nothing, I fired off the above tweet, accurately capturing my mood. I didn’t really see the day as a “staycation” but unlike those Ocean City ads, I didn’t feel like it was a waste of time off either. It was a weird, but nice feeling of not stressing out over a day off like I had to do something with it. Later I chuckled, realizing that with the right image and typeface, that tweet could just as easily be an inspirational quote on a “Deep Thoughts” Pinterest board. I dunno, it could work, right? In any case, I’m back to the grind today and feeling a little more rested for having taken the day off. Here’s hoping the rest of the week treats me kindly. Also here’s hoping that Safeway isn’t out of lobster tails because I think I’m gonna have to get me a few more of those! 1 However, I don’t like how often it’s suggested I use leave just because I may have the most of it stored up on the team. Those are my hours, not yours to decide upon for me. Next story photos: Hey… I shot that!